A Minneapolis rock & roll band, they evolved from Jim Thaxter & the Travelers, recording one single under that name ("Sally Jo"/"Cyclone"). The group comprises Tony Andreason (lead guitar), Dan Winslow (guitar/ vocals), Bob Reed (bass), and Steve Wahrer (drums/vocals). 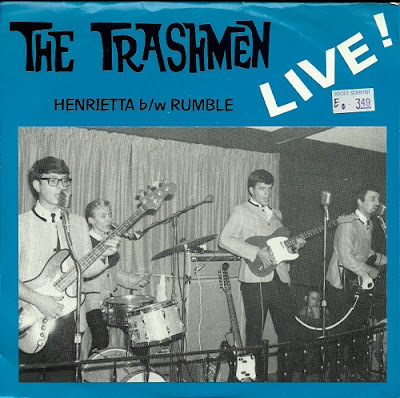 Unfairly depicted as a novelty act, the Trashmen were in actuality a top-notch rock & roll combo, enormously popular on the teen club circuit, playing primarily surf music to a landlocked Minnesota audience. 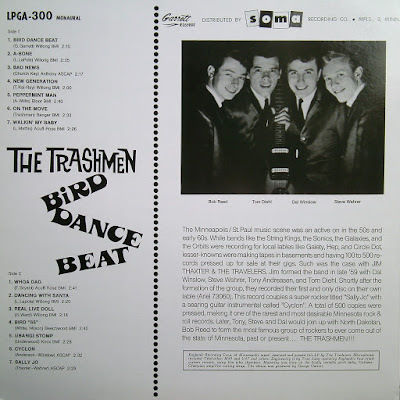 Drummer Steve Wahrer combined two songs by the Rivingtons ("The Bird's the Word" and "Pa Pa Ooh Mow Mow"), added freakish vocal effects and a pounding rhythm to the mix, and, by early 1964, the group was in the Top Ten nationwide with "Surfin' Bird." Though the group continued to release great follow-up singles and an excellent album, their moment in the sun had come and gone; they disbanded by late 1967/early 1968. 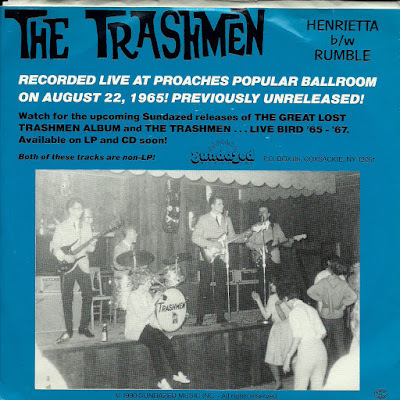 They re-formed in the mid-'80s and continued to play locally until Wahrer's death. 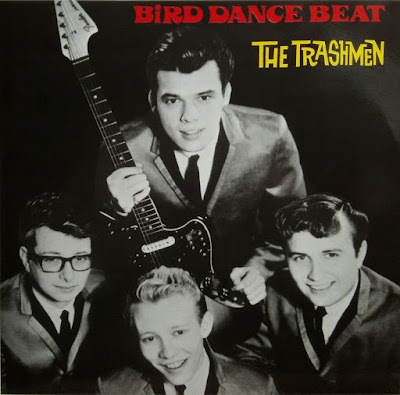 the Trashmen are revered by '60s collectors as one of the great American teen band combos of all time, their lone hit exemplifying wild, unabashed rock & roll at its most demented, bare-bones-basic, lone-E-chord finest. The only album released by the Trashmen during their lifetime actually outstrips most of the Southern California-based competition, due to the ferocious grit of the playing and a vaguely demented, go-for-broke recklessness.